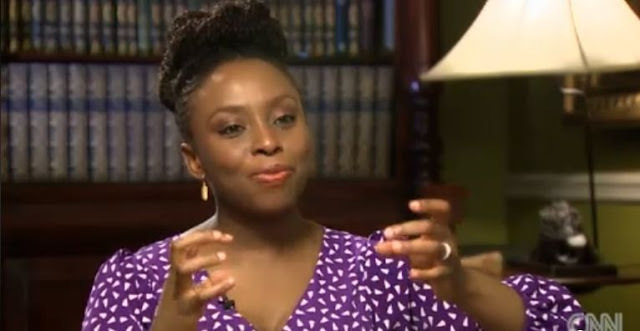 Author, Chimamanda Ngozie Adichie told the New York Times that president Muhammadu Buhari has squandered the massive goodwill and support he had upon his inauguration as president and missed an opportunity to set Nigeria on the right path. “Mr. Buhari ascended to the presidency with a rare advantage not only did he have good will of a majority of Nigerians, he elicited a peculiar mix of fear and respect,” she wrote in an opinion for the New York Times, published on Tuesday. For the First weeks of his presidency, it was said that civil servants who were often absent from work suddenly appeared every day, on time, and that police officers and custom officials stopped demanding bribes. “Because for the first time, Nigeria voted out an incumbent in an election that was largely free and fair,” she said. Although she acknowledged that Nigeria was difficult to govern, she said Buhari wasted an opportunity through his actions from his appointments to his economic decisions. “Perhaps the first clue was the unusually long time it took him to appoint ministers. After an ostensible search for the very best, he presented many recycled figures with whom Nigerians were disenchanted. Chimamanda said although Buhari believed, rightly, that Nigeria needed to produce more of what it consumed, and he wanted to spur local production, local production could not be willed into existence if the supporting infrastructure was absent. She said: “And banning goods has historically not led to local production, but to a thriving shadow market,” she added. She also faulted Buhari’s handling of the herdsmen/farmers clashes in the country. “Since Buhari came to power, villages in the middle – belt and southern regions have been raided, the inhabitants killed, their farmlands sacked. Those attacked believe the Fulani herdsmen want to forcibly take over their lands for cattle grazing. It would be unfair to blame Mr. Buhari for these killings, which are, in part, a reslt of complex interactions between climate change and land use. But, leadership is as much about perception as it is about action, and Mr. Buhari has appeared disengaged. “Most important, his behavior suggests he is tone – deaf to the widely held belief among southern Nigerians that he promotes a northern Sunni Muslim agenda. In terms of the war on corruption, she said: “Nigerians who expected a fair and sweeping cleanup of corruption have been disappointed. Arrests have tended to be selective, targeting mostly those opposed to Mr. Buhari’s government.